I rarely focus on the details surrounding the back story of our youngest daughter’s dx. I wrote about it here when I started to write NaturallySweetSisters.com. Once the initial story was on paper, I have wanted to keep the wound closed in hopes of fully healing. 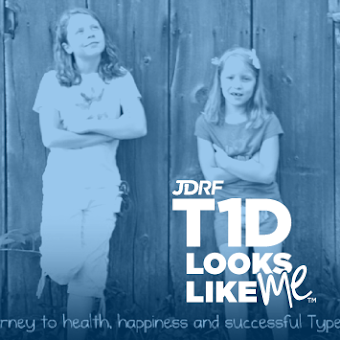 Although, as long as my girls are living with T1D, I am not sure if that will ever be possible. The vines of T1D entangle every ounce of our beings despite my attempts to prune them. On Friday, and in the way that life is full of twists and turns (and bigger vines), our youngest daughter’s best friend started writing her own family diagnosis story. 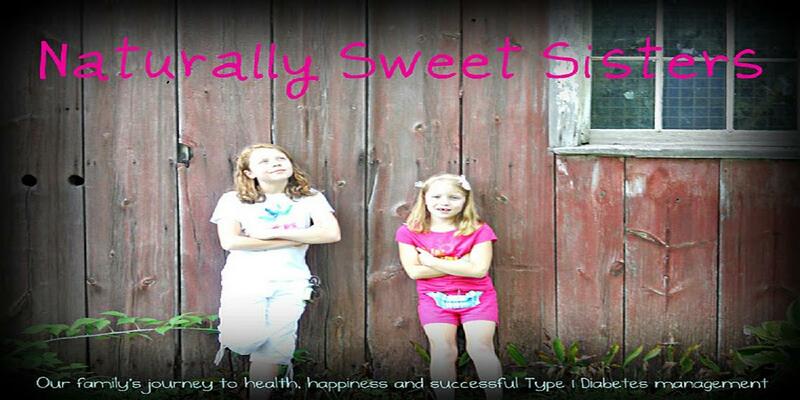 Her youngest brother was also diagnosed with Type 1 Diabetes. Processing the news of anyone having a diagnosis of T1D is painfully hard but knowing the family intimately for years, made the news hurt even more terribly. Forever, a new T1D dx is truly like a punch in the gut. It completely takes your wind away. The call from my mom friend on her way to the ER was poised and scared but also, full of strength and hope. 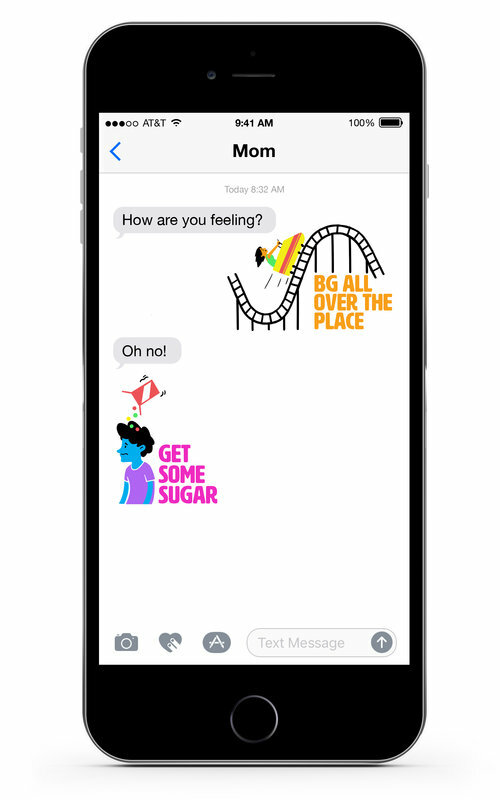 As she sweetly shared, she knew ‘us’ and we showed her that it will be ok. As I listened, I felt like such a faker as T1D is anything but easy. Just hours before the call, I had been awake, tending to my oldest sleeping daughter and giving her not one, but two juice boxes so her blood sugar with stay high enough to get a few hours of sleep. While I may have told her a little bit here and there, I work hard at trying to not let T1D consume us, so not everything is shared. Knowing this wasn’t the time to admit anything negative, I squashed my feelings and left her with more positivity, hope and strength, along with the promise to alert people that I knew within the medical community. Hanging up the phone, I fully exhaled and then through my tears, realized that I needed to share the news to my girls. Having just attended a ‘Breaking Bad News Seminar’, I tried to think of the words that could be used and how best to share. The reality is that there is no way to deliver any type of bad news message while sparing someone that hurt. As the morning crept closer to pick-up time at school, I ruminated on our diagnosis stories. I remembered my baby being so sick, so frail that at age 3, she weighed as much as some 1 year olds. I remembered the inability of triage to poke her for an IV. And oh did I remember. I remembered the tears. The buckets of tears that were shed from her, from me, from my husband and later when things had ‘calmed’, our oldest daughter. Then, the learning came. The foreign medical language, the decoding of acronyms, the medical procedures like injections, infusions, therapies; the understanding of the chain of medical command – that all people wearing white coats were not doctors and the vast array of insurance, pharmacy, and DME needs. And it took years to figure it out and to believe in ourselves, that WE were experts. There were good days and bad days. Days that played nice and days that shook us to our core. I became the mom that I am today. I gave up listening to other parents about things like ‘independence’ and ‘helicoptering’. Instead, I focused on keeping my child alive and ensuring that they were learning while living kids first, diabetes second. Some people left out friendship circles and others came in. A second dark day loomed and our oldest was diagnosed. I tried to stand in front of the train of T1D to stop it by calling everyone and anyone that had a connection to research. This diagnosis gave us a gift with six insulin-free months and yet, like a ticking bomb, not one of those minutes could be used to stop the destruction of beta cells. Humbled and determined, we continue on. Until today, where another diagnosis brings us to our knees. When I told the news of her friend’s younger brother, my youngest daughter looked at me with wide open eyes and said, “Maybe I am contagious”. There are no words to explain the depth of her pain. She cried and cried some more. Knowing from decade – plus of living with T1D, that the world would never be the same for him, his siblings or her family, she cried deeply and painfully. This is why we need a cure. We reassured her, even though she knew, that there was no contagiousness in T1D. Her questions of ‘why’ remained unanswered as none of us really know. Sweet babies, little boys, little girls, teenagers, adults, friends, family or strangers should not have to live with Type 1 Diabetes. The needless pain, suffering, and burden of care must end. And we are close. Research is doing more than ever to help us get there. But it’s not fast enough. We needed a cure yesterday. Yes, we need a cure.